Remembering Sam Martin | Remembering Sam Martin | De Soto Obituary Search | Dietrich-Mothershead Funeral Home, Inc. Remembering Sam Martin | De Soto Obituary Search | Dietrich-Mothershead Funeral Home, Inc.
Samuel E Martin was born December 16, 1926 to parents Charles A. And Rosa Yates Martin in Washington County, Missouri. He grew up on the family farm near Washington State Park with his nine brothers and sisters. Sam was a student at De Soto High School. When World War II broke out, he joined the Navy where he proudly served for two years on the USS Menominee. After he was honorably discharged, he returned to De Soto high school where he was the star quarterback. After high school, Sam attended Southeast Missouri State College, Cape Girardeau on a football scholarship. He was a great athlete and later went on the play minor league baseball for the Fort Madison Baseball Association Club in Mt. Vernon, Illinois. Sam Martin married Elizabeth (Betty) Crose on April 8, 1951 in Moberly, Missouri. The happy couple moved into a home together in Hillsboro, Missouri. They raised three children Donna, Curt, and Lois. 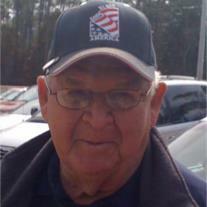 Sam Martin was a skilled carpenter and joined Sam Huskey in opening Sam’s Construction Co. in 1957. Their construction company instantly gained popularity for their high-end quality and hard work ethic. Sam was most proud of some of the work he did on homes of the Saint Louis elite including Stan Musial, the Dierbergs family, and many others. Sam was an honorable man of the community and served the town of Hillsboro in many ways. 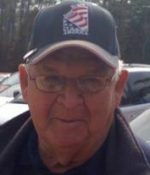 He helped establish the Hillsboro Little League and volunteered often at sporting events in town. He served as an alderman in the City of Hillsboro and was a director of Valle Ambulance District. For numerous years he was a supervisory judge for elections held at Hillsboro City Hall. He also volunteered a lot of his time making improvements for the handicapped in Jefferson County. He was instrumental in passing a county levy to provide services for the handicapped and served thirty years on the Developmental Disabilities Resource Board. He was a member of the Hillsboro Civic Club, De Soto Elks Lodge 689, and VFW Post 1831. Despite being very busy with family, career and serving the community, Sam still managed to have fun. He liked the outdoors and loved to hunt and fish. He also always kept an impressive home garden where he grew quality vegetables. He loved any game and played pinochle and euchre in area card leagues as well as Dominoes with his family. He was a major sports fan and watched almost every Cardinals and Rams game as well as many other teams. He played golf and as a part-time retirement job worked at Quail Creek Golf Course in Saint Louis County. He also helped organize the Senior Golf League. Sam was also one of the founders of the Missouri Snowbirds Club—spending many of his later winters with his wife in Gulf Shores, Alabama. Sam passed away on January 13, 2016. He is survived by his wife Betty Martin; his three children Donna (Jay) Soto, Curt Martin, and Lois (Mark) Menius; his three grandchildren Amber Rodríguez, Stephen Menius, and Rebecca Menius; his great-granddaughter Luciana Rodríguez; and his brother Walt (Geraldine) Martin. He is also survived by numerous nieces and nephews, great-nieces and nephews and cousins. He was preceded in death by his parents Charles and Rosa Yates Martin; his siblings Cleta Carnegie, Charlene Graham, Caroline (Sis) Beno, John Martin, Robert Martin, Art Martin, Bud Martin, and William Martin.